I know the reason notary/loan signers go on the Internet and print out the FedEx/UPS labels because it is so much more convenient/faster and looks more professional than a hand written label. The sender and the receiver are always the same name and never put your name or phone number on one of these labels. Take the time to hand write these labels. Don’t put the borrowers name on it because UPS/FedEx will find you and charge you. Don’t think the borrower is going to get stuck with the charges because they won’t. When companies go out of business one of the first things they do is cancelled their account with FedEx & UPS and then the notary gets stuck because he/she put their information on the air bill. I’ve seen this information posted before on another site and it makes sense. However, I do prefer facilitating my labels online. One of the things that has happened by doing so is that I’ve had title bypass the signing service and hire me directly because they had my name and number. To date I’ve made approximately $1,000 by going online and drafting my airbills only… $0 have been charged to my account from companies going under. maggiemae: How did you make $1000?? How did I make $1,000? By having my name, address and phone number on the airbill I’ve had title companies contact me directly instead of thru the signing service I was originally hired thru. One title company gave me 4 overnight doc deals at $200 each and another title company hired me to do a signing for $150 (eDoc). Had I not put my information on the airbill, the title companies would not have had my contact info to call me direct. Ask the Title or Escrow company to sign-up with www.ShipTropolis.com so you can print UPS and Fedex labels on demand on their account. 1. ShipTropolis.com is secure for the title/escrow company. 2. It’s easy for notaries to quickly create labels on demand. 3. It ensures the notary doesn’t get wrongfully stuck with the shipping cost. For over a decade, Notary Depot has kept a comprehensive list of signing agents across the country you can search, contact and work with any time you want. But today, and over the last number of years, we’re focused on notaries and signing agents themselves, and how you can make extra money using FedEx, UPS and other postal services as advertising platforms. If being a notary is a second source of income for you, these strategies are valuable as a point of getting your name out to people who need signing agents. We’re posting this information in this particular forum because of the engaged conversation between a few notaries. The strategy that Myra, aka maggiemae talks about towards the top of this post is what we’ll be highlighting. Using FedEx, notary public agents can make additional money with the strategy. Before we get into it, let’s cover the disclaimer. This strategy isn’t proven to make extra money every time, but when done in the right scenario, it works great. Specifically it involves how the signing agent fills out the labels for mailing. Here’s how it works. 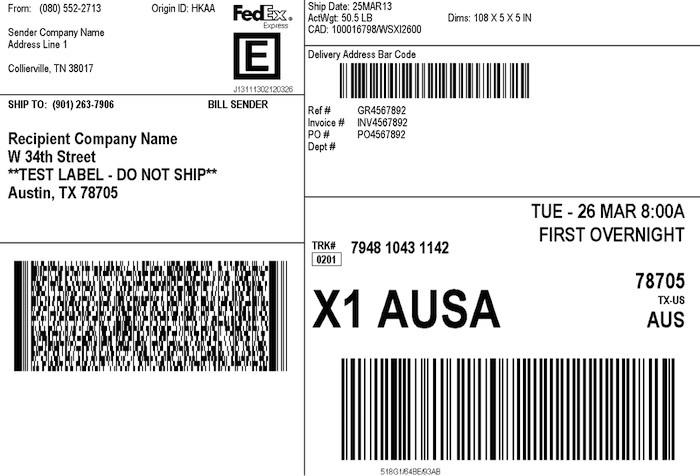 To start, you want to be printing your labels to mail from the FedEx website. As Joan points out in the top of this thread, it’s more professional and there is less room for human error. Here’s a video on how to do it, if you’re not familiar. The strategy to make extra money is that you put your name and number right there on the label. If you’re going through a signing service as a notary, this means your name and number will show up to the customer directly. In some cases, the customer will call you directly to do business with you. Many businesses and white collar professionals don’t have direct access to a notary public, and they may be using a signing agent out of convenience or time constraints. By filling out your name and number as the notary, the customer can see that you are the vendor being used by the signing agent. It makes sense that they understand you would charge less for notary services, and since your number is staring them in the face, they’re likely to pick up the phone and call you. You’ll want to be ready to answer any calls about services promptly. If you start making this a practice for all of the notary business you do, you could earn quite a bit of extra money. Myra says she’s earned over $1,000 from making this small move in her business practices and we think that’s awesome! You can use this strategy for the following carriers printing services listed below.